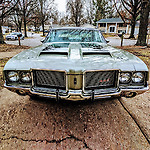 Talk about your Oldsmobile or other car-related topics. New to the site? Introduce yourself and talk about your car. You take pride in your car. Show it off and talk about it. Keep track of the progress of your restoration. 163 86 t top weatherstrip install - oy! Frames, suspension, chassic components, etc. Bulbs, power options, lights, etc. Body, paint, seats, dashes, interior panels, etc. Oldsmobile engine and other drivetrain components discussions. 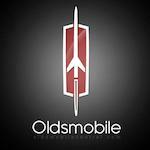 Share or ask questions about your Oldsmobile engine and/or transmission combination. Discuss brakes, rims, wheels, tires. Mid A-Body Oldsmobiles built between 1964 and 1972. Late A-Body Oldsmobiles built between 1973-1977. A/G-Body Oldsmobiles built between 1978-1988. What to talk about cars or parts for sale? Do it here. Post here if you are looking for a specific car or parts. This is a forum dedicated to just testing code. This is a forum to talk about site news and suggestions.